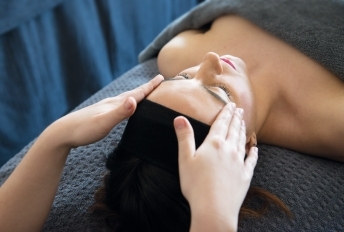 The Amethyst Trust can equip you as a qualified massage therapist to be confident and capable of treating clients who present with a history of or are currently undergoing treatment for cancer. Currently, industry statistics show that one in three people in the UK are touched by cancer and this number is expected to increase to one in two people before 2020. Stop turning these clients away from your salon and spa today. The Amethyst Trust post-graduate training is designed by industry experts with with combined industry experience of over 70 years. The Amethyst Trust Courses are approved by a leading insurance provider with a bespoke 'top up' insurance policy for individual therapists and beauty salon and spa businesses. 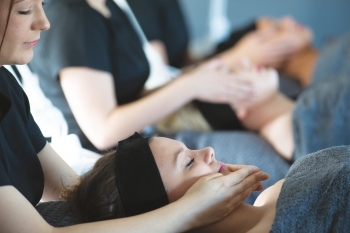 The Amethyst Trust signature training course is designed to enable individual therapists, salons and spas to welcome people with experience of cancer into their business and to enjoy the amazing benefits of massage therapies. The quality hands on training is designed to give confidence, competence and ensure safety. Authenticated and endorsed by Michael Connors (Director of Services, Education and Training Manager) and Dr Catherine Zollman (Senior Clinical Lead) of Penny Brohn UK who are pioneers in the whole person approach to cancer. Hydrotherm Tranquil Sea Massage is the Amethyst Trust Specialist Cancer Massage Training for qualified Hydrotherm practitioners. It provides a scientific approach to the ancient healing art of massage. A truly innovative concept that allows you to carryout specialist Swedish and Remedial Massage therapy whilst the client lies on their back, on a soothing warm water filled cushions that support and comfort the entire body. There is no need for the client to turn over half way through the treatment, no pressure on the chest and the neck muscles are fully relaxed. The course is available to Hydrotherm practitioners who want to offer an advanced therapy that allows clients to lie supine avoiding lying on any scar tissue or medical devices necessary for cancer treatment. Full details on purchasing the Hydrotherm System are available by emailing John Holman Therapy Solutions.